« Merry Christmas Mixer And Toy Drive This Friday Night! Have you ever gone to a restaurant with your buddies and wished you could just order a bunch of appetizers instead of an entrée? Maybe you just landed a date with that hottie from the gym and thought, “Man I wish she would share what’s on her plate.” Here’s where a tapas restaurant can really come in handy. Simply put, tapas are small plates of food that are meant to be shared over a drink. Those looking for that 32oz porterhouse should look elsewhere, like the cardiologist! While many tapas restaurants focus on cuisine from Spain, Mezé offers a more international menu. Located in the West Loop, this spot exudes a cool vibe. Local art adorns the walls while the exotic music offers a cool mix of international sounds. All this means nothing without good food, so pour the sangria and let our world wide journey begin! We start in Asia with the vegetarian Thai rolls. Served cold, the crisp carrotts and cucumbers are wrapped in rice paper and served with a dynamite sweet chili sauce. Hop on a plane to the Carribbean and chill out with the bright citrusy flavor of ceviche. They’re served with organic chips, so you can tell your beer buddies they’re nachos! 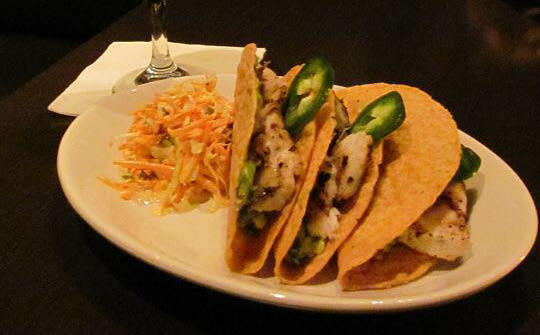 Grilled talapia is the star of the addictive fish tacos served with an delicious carrot slaw. After your buddies have finished their tacos and “nachos”, a stop in America will leave them licking their fingers from the barbecued chicken winglettes. Tender lollipops of chicken are served with a warm barbeque sauce that is sure to be a favorite. Our final stop is in the Mediterranean, so feel free to relax and stay a while. Say goodnight to the guys and hello to that hottie who agreed to meet you here. Pour some of the smooth house made sangria and you my friend are Joe Cool. 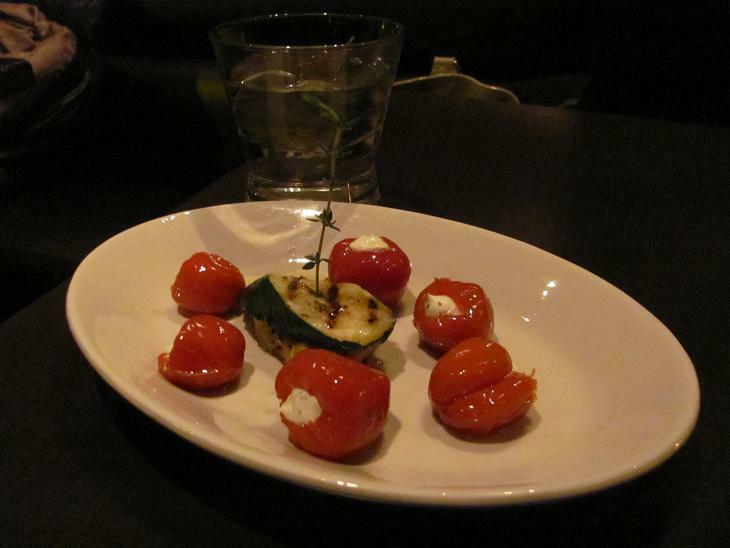 The colorful Boursin stuffed peppadew wows with creamy garlic infused goat cheese stuffed inside pickled sweet peppers. Butter knife tender peppercorn beef and gorgonzola is sure to make your taste buds explode with joy while satisfying your carnal need for red meat. To finish our journey we need to enjoy the grilled baby lamb chops. This super tender meat is topped with a roasted red pepper puree and is thankfully devoid of the mint jelly that many restaurants offer. Prices average $6-7 per plate with only three over $10. 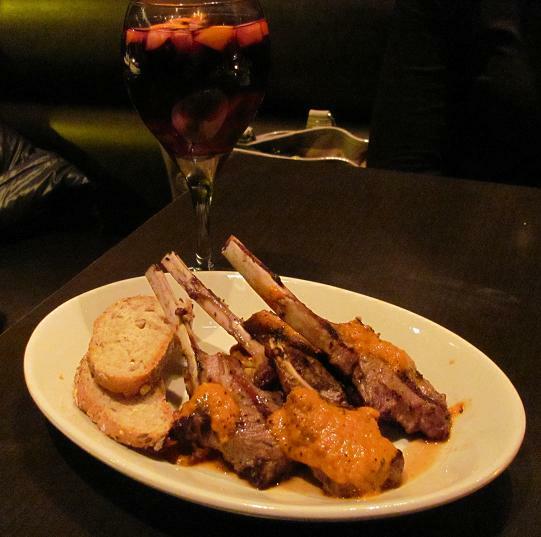 Overall Mezé offers a cool vibe, wonderful diverse food, and killer sangria for a suprisingly reasonabe price.